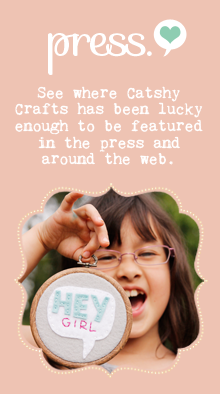 Catshy Crafts: I am a Guest Designer for American Crafts! 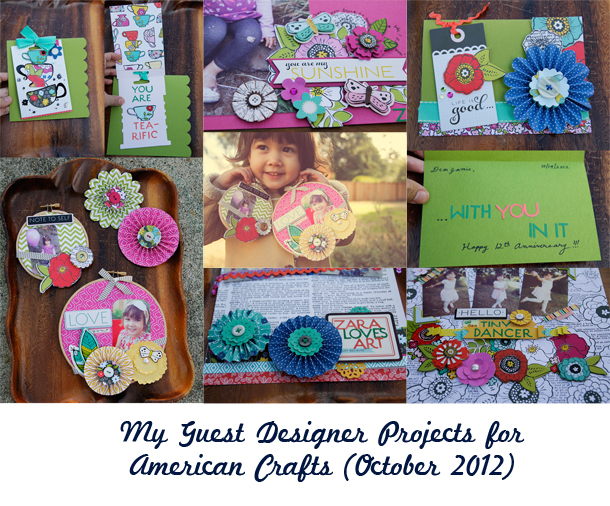 I am a Guest Designer for American Crafts! I was totally shocked when Paige Evans e-mailed me to be a guest designer for American Crafts. 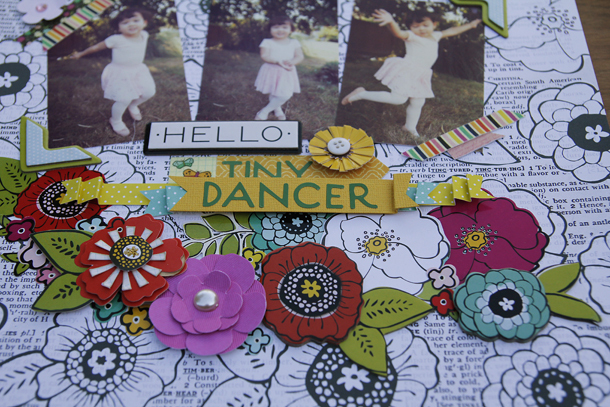 I have not been the dedicated scrapper ever since opening up Catshy Crafts, but I still love scrapbooking. 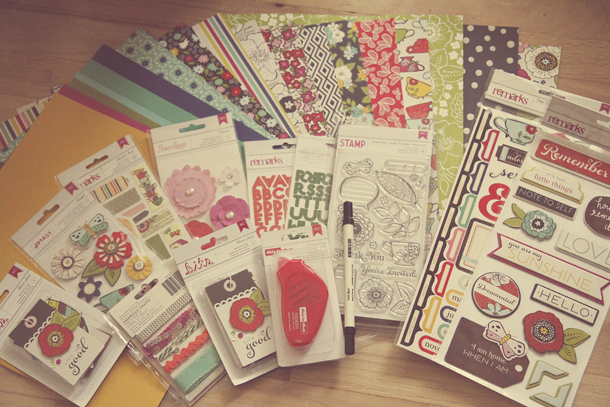 It is my first crafty love. If only I had the time, I would do it every day. Seriously. So, of course, I immediately said "Yes!" to Paige and waited for my package of goodies to arrive. The collection I was honored to work with was Soho Garden. As a born and bred New Yorker and a newbie gardener, this line was just up my alley. Lots of graphic florals mixed in with graphic prints and even some dictionary text paper to give it some vintage vibe. There is even a gorgeous set of clear stamps with a stamp marker to go along with it. This is Soho Garden. Isn't it lovely? I am usually a sloooooww paper scrapper, but I was able to put together 3 layouts, 2 cards and wall decor project in less than 3 days. That is lightning fast for me. My first task was to choose some photos to scrap. As my youngest Zara is more camera-friendly these days (Sofia is definitely more camera-avoidant these days), all the projects feature Zara's photos. (I figure Sofia had her heyday when she was an only child, LOL. She has at least a dozen scrapbooks of her!) Anyway, I printed them all out in varying sizes, trimmed them down to size and got to work. As an aside, For the first time in my life, I actually scrapped in my craft studio. I usually spread out in front of the tv, but with streaming Netflix on my computer there was no need! It was also handy if I needed to print more photos. These are some of my favorite photos of Zara taken this year. She is dressed up as a ballerina for her first dance class. She was ready to jump and dance for me under the shade of our maple tree. On top of the black and white floral and text patterned paper, I layered sticker flowers, paper flowers, chipboard flowers, and flowers cut from patterned paper as a bouquet for my title. 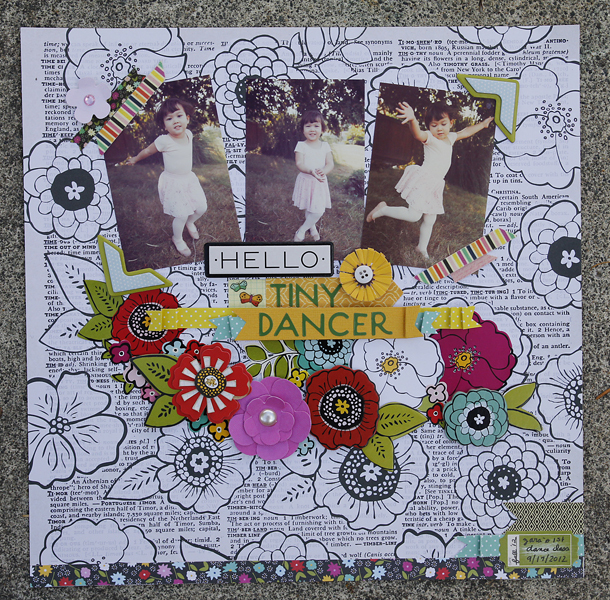 For this layout, the photo is the star but I couldn't resist making little clusters of embellishments around the edges of the photos. The biggest of them all is the floral bouquet where my chipboard title sits. I cut out a spray of flowers from the floral patterned paper and layered dimensional flower embellishments on top, including a stamped flower (on the text patterned paper) using the Soho Garden coordinating stamps. I also had a bow motif going on. Notice Zara's bow in her hair and all the bows on her shirt. I added my own bows as well: the grosgrain ribbon and the fabric strip on top of the photo is reminiscent of a bow. 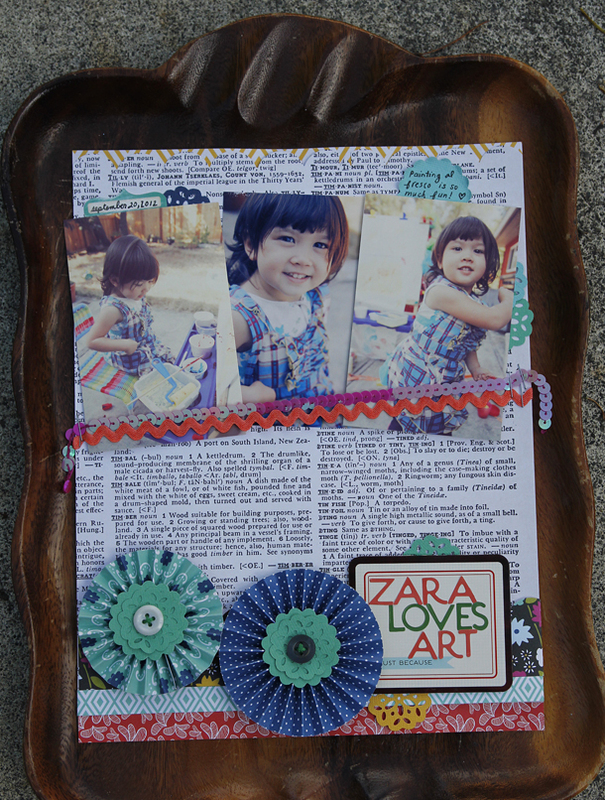 Showing another side of Zara, this page is all about Zara's love for art. During the warmer weather, I put her easel on the patio so she can enjoy the sun while doing the art she loves! I highlighted the blues in her apron in the accordion flowers I made. 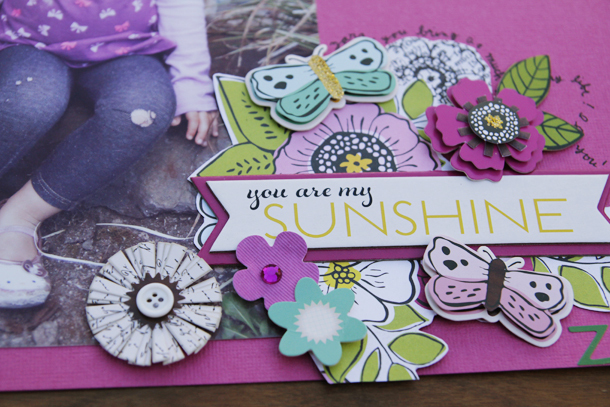 I added pops of color using paper punches from cardstock. 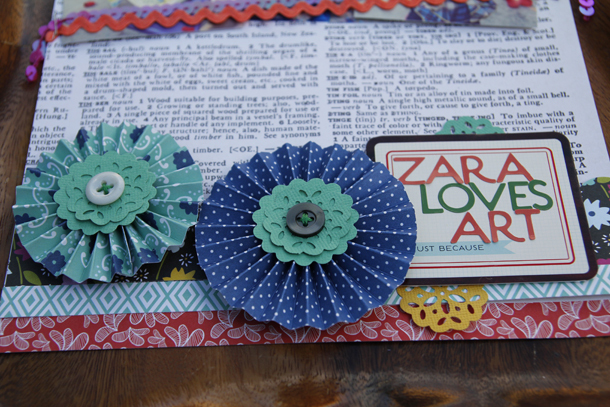 These accordion or pinwheel flowers are probably my most favorite paper embellishment to make. 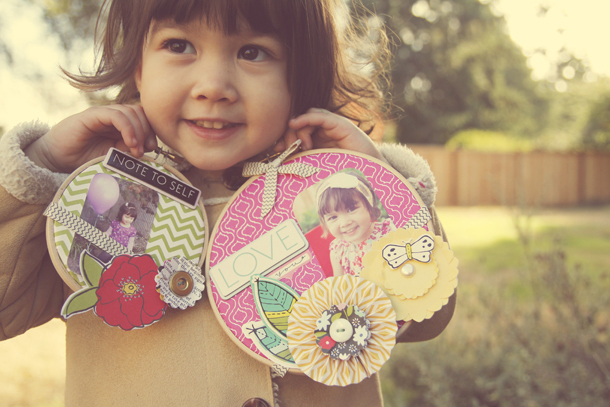 I love to add paper punches and a hand-sewn button in the center. When I saw the super-cute packaging for the Soho Garden Ribbon Card, I knew I had to incorporate it into one my projects. Because I didn't have any tea party photos on hand, I decided to make a card. The packaging could be a card in of itself, but I adhered it to the green cardstock card base so there would be more room to write a message inside. 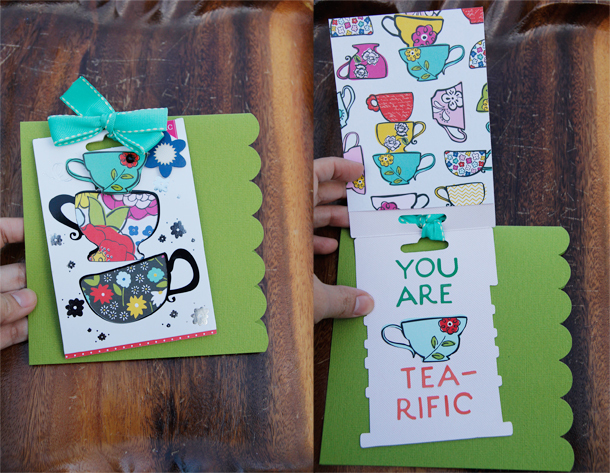 I cut some patterned paper to fit behind the teacups and taped them to the card. To make it nice and neat, I trimmed the teacup patterned paper to cover the entire surface, allowing some of the red polka-dot on the other side of the paper to peek out and give the front of the card a thin border of red. On the front I added another layered teacup sticker and a flower to cover up some of the "packaging text". And of course, I had to use one of the ribbons that came on this ribbon card. A nice bow adds another dimension as well as covers up more of the packaging text. That left me with the inside of the packaging for the sentiment. I did a quick search on google for tea party-inspired card sentiments and though this one was perfect! A little pun-ny but it works! 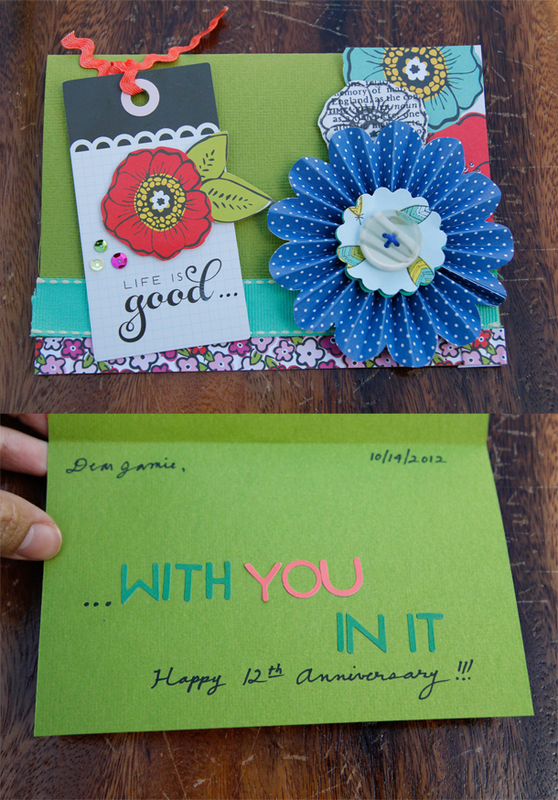 Since it happened to be my 12th anniversary on Sunday, I decide to make a card for my husband. Even with all the flowers on it, he loved it. 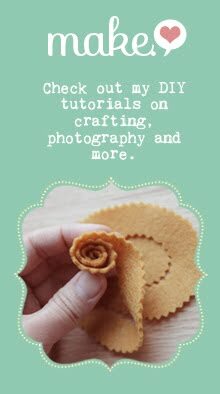 One of the things I sell in my Etsy shop, Catshy Crafts, is embroidery hoop art so when I saw a tutorial on how to use paper (instead of traditional fabric) inside an embroidery hoop, and I knew I had to try it. You can see the scale of the hoops. One is a 4-inch and the other is 7-inch. One fun thing about these hoops is that the ribbon is not entirely glued down. This means that you can slip the photo in and out and change it up when you have a new favorite photo to display. You could also slip in a note or other keepsake (like a ticket stub) at your leisure. 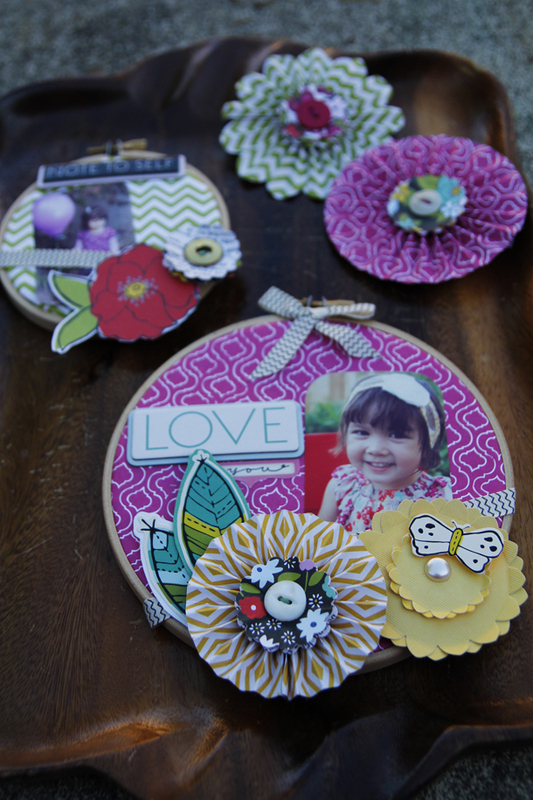 So those were my projects for American Crafts! 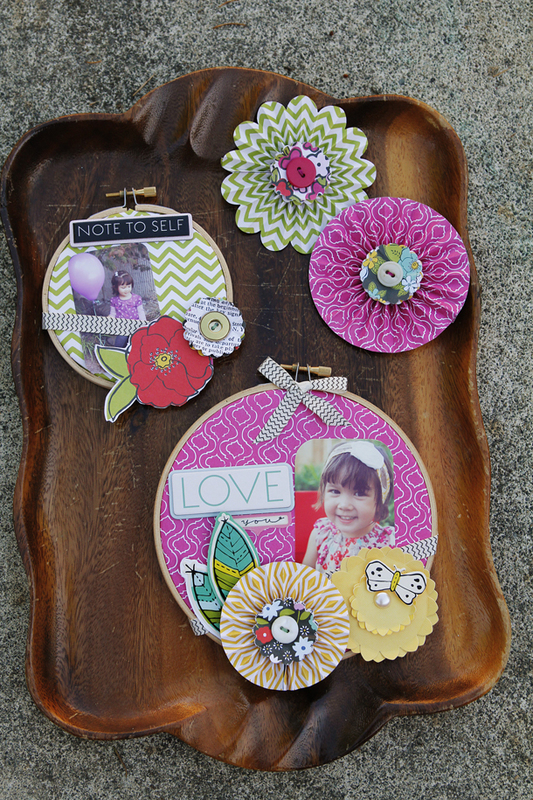 Thanks to Paige for inviting me to create with these lovely products! So happy to see you pop up on the AC blog. Your work is amazing!!!! You did wonders with this collection! It was so much fun to work with Soho Garden! I LOVE everything you made! 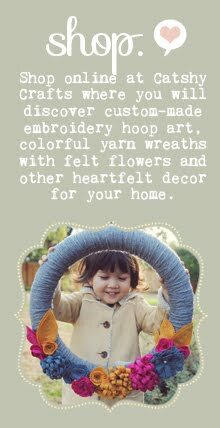 Those embroidery hoops are especially fantastic!